Have you ever taken the kiddos to a Beaches Resort in the Caribbean? No? Then it's time to go! Upgrade to Beaches Negril or Beaches Ocho Rios and enjoy more of the same family-friendly features, Luxury Included® amenities, beautiful beaches and unmatched service for less. 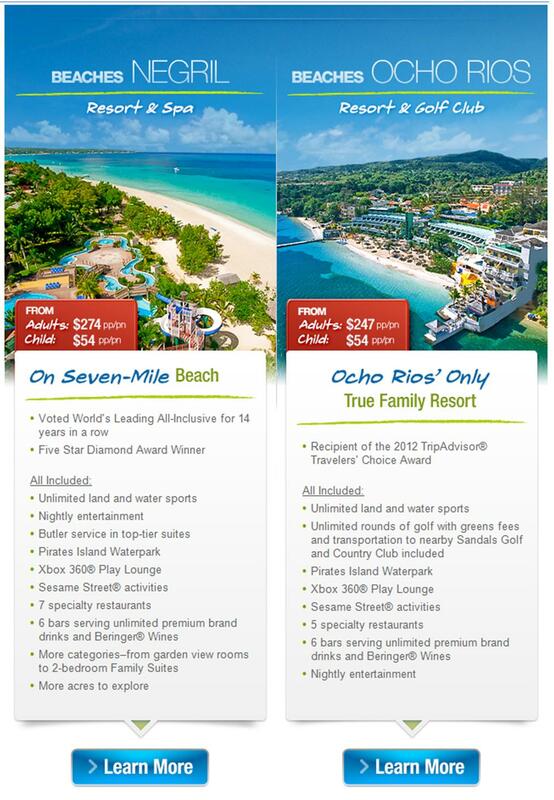 With endless choices for everyone, Beaches Resorts are the perfect family vacation getaway.